Heart-Shaped Sunglasses Only $1.99 + FREE Shipping! You are here: Home / Great Deals / Amazon Deals / Heart-Shaped Sunglasses Only $1.99 + FREE Shipping! I am LOVING this deal! 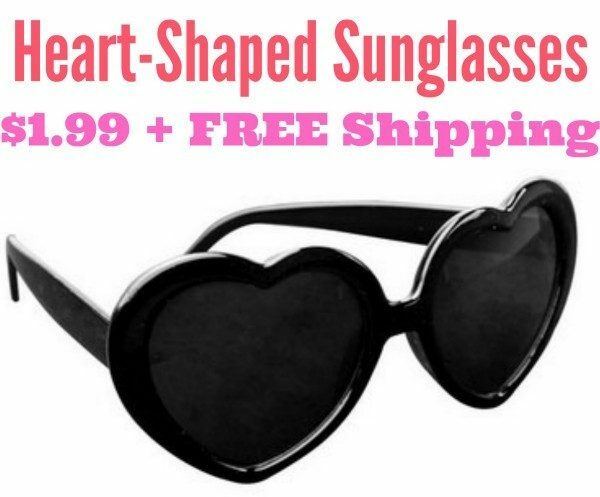 Right now, you can get these super cute Heart-Shaped Sunglasses for just $1.99 with FREE shipping! I think these are SO cute! Now, I want to find a pair for my daughter, too! These come in the following colors: black, red, pink, purple, rose and white.